Ralph Lauren returned to growth in North America in its second fiscal quarter as a strategy to intensify marketing on social media bore fruit. The new marketing campaign also helped the upscale fashion group top Wall Street revenue estimates today. Its increased focus on social media is aimed at wooing more high-spending millennials as a lack of big discounts and promotions has shrunk its clientele in recent years. The New York-based company said it spent about 30% more on marketing in the three months ended September, compared with a year earlier, targeting events including its 50th Anniversary Fashion Show and the New York Fashion Week. Its revenue from North America rebounded, rising 1.4% after several quarters of declines. Revenue overall rose 1.6% to $1.69 billion, better than analysts' expectation of a 0.9% fall. Net income rose to $170.3m or $2.07 per share in the second quarter ended September 29, from $143.8m or $1.75 per share a year earlier. 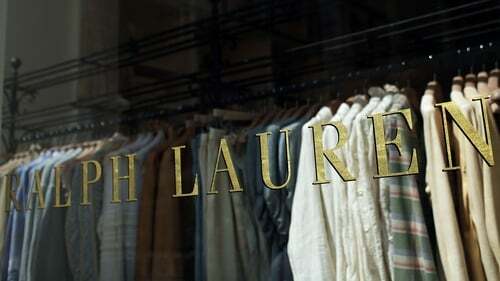 Excluding one-time items, Ralph Lauren earned $2.26 per share, exceeding Wall Street estimates for the ninth consecutive quarter. Analysts on average had expected earnings of $2.16 per share and revenue of $1.65 billion, according to IBES data from Refinitiv.